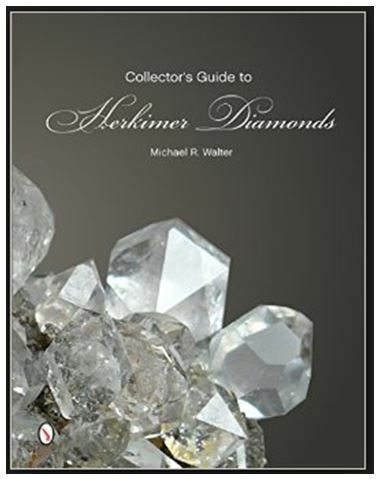 All New York mineral collectors have a soft spot for Herkimer diamonds and now there is a comprehensive book dedicated to one of our favorite minerals. 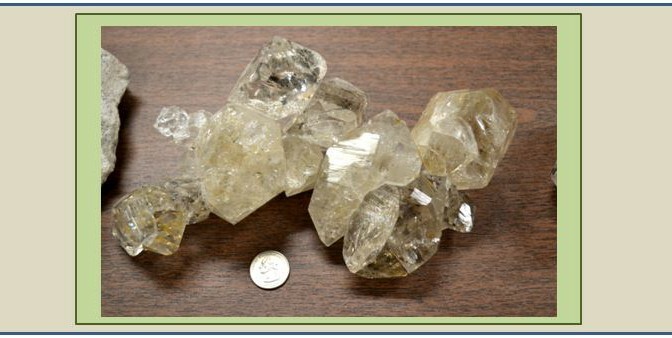 Thanks to Mike Walter, a teacher and mineral dealer by trade, but a true collector by heart, we can learn more about the little (and sometimes not so little) doubly terminated clear quartz crystals than most thought probably could be known. Wouldn’t you agree, Valentine’s Day seems like the appropriate day to place a post simply entitled “PbMoO4 is Love” ? Or so was the expression in Arizona in the 1980’s when my graduate student colleagues and I would tramp about the state looking for that elusive wulfenite specimen at some 30 odd locations known to offer the brilliantly colored spectacular mineral. Heck my 1970-something Ford Falcon collecting wagon even hosted a bright bumper sticker that simply read “PbMoO4 is Love “. That car saw them all. There were, of course the famous locations: the Red Cloud Mine in Yuma, the Silver Bill Mine in Gleeson, the Rawley Mine in Theba, the Glove Mine in the Patagonia Mountains. But there were also the not so famous mines and where panes of wulfenite could be coaxed from adit walls or broken out from dump material. My favorites were the Total Wreck Mine in the Empire Mountains (see cover photo), the Finch Mine in Gila County, and the Dogwater Mine in Araviapa but that list too is long. 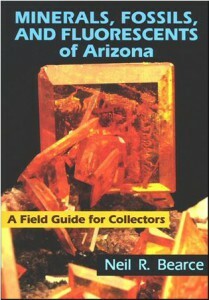 It is not hard to understand why Neil Bearce decided to adorn the cover of his 2006 book “Minerals, Fossils, and Fluorescents of Arizona” with a gorgeous Rawley Mine wulfenite. But those days have passed for me, and now I must be content with seeking new locality wulfenite pieces from mineral shows (or on stamps!). 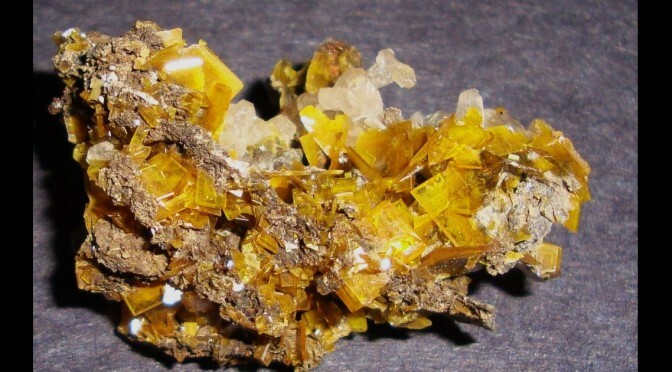 There just aren’t many wulfenite locations in the northeast USA and in eastern Canada.